The Bodega lamp is made of hand-collected driftwood and painted in distressed white. 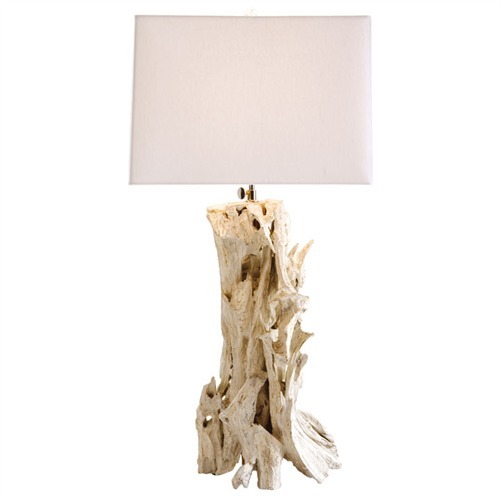 This driftwood lamp measures H: 33" x 14.5" Sq and adds a stunning accent to any room of your exceptional coastal home. Has a 3-way switch with 150 watt max.